I am available at Alta Vista Monday afternoon thru Thursday during school hours. I provide individual and group counseling, deliver classroom guidance lessons, serve as a member of the Student Success Team, oversee the School Attendance Review Team, facilitate the Safe School Ambassador Program & Student Leadership Program, assist in the development of many Individual Education Plans, provide consultations to parents, teachers and administrators and serve at the 504 Plan Coordinator for the school site. I can be reached by phone at school at (310) 798-8650 x3111 or via email at jstout@rbusd.org. I hope that you will find the information on this website to be of value to you and your family. If you have any questions or concerns that you would like to discuss, please don’t hesitate to give me a call! My name is Doctor Joyce Stout and I am the School Counselor at Alta Vista School. I have been a School Counselor in the Redondo Beach Unified School District since 1994. I am a life long learner. It is important to me as professional to continue to learn best practices in field of School Counseling. I have a Master’s Degree in Counseling Psychology, a Pupil Personnel Service Credential, Doctorate in Clinical Psychology, as well as certificates in the areas of Play Therapy, Art Therapy, Bereavement and Trauma. In 2006, I was awarded the honor of National Elementary School Counselor of the Year by the American School Counselor Association. 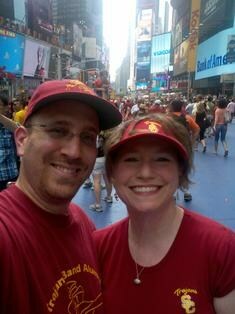 Outside of the school day I enjoy spending time with my husband and cats, cooking, traveling and rooting on the USC Trojans in football, men’s and women’s basketball. I look forward every day to supporting our Alta Vista WildCats. Project PAL is designed to serve the needs of all children at each stage of their development. Many children today face complex societal pressures and changes within their family structure. As a result, children bring many issues and concerns to school with them. A troubled child may experience difficulties learning. Providing counseling services at the elementary level promotes developmental and preventative interventions that help guide children to success at school. To better serve students, elementary counselors will consult with teachers and parents to coordinate efforts within the child's total environment. I will also work closely with the students to help them better understand themselves and others. Children will be encouraged to make choices and decisions that will lead to positive outcomes in their lives. Utilize a developmental, preventative curriculum that will increase the resiliency of all students, enabling them to be productive learners and to develop skills necessary to achieve lifelong health and happiness. Students will acquire the attitudes, knowledge and skills contributing to effective learning in school. Students will acquire the attitudes, knowledge and interpersonal skills to help them understand and respect themselves and others. Students will understand the sensitivity to our diverse society and celebrate the value of each individual they meet. Classroom Based Instruction - Counselors visit classrooms and help students build a variety of mental-emotional and social skills, such as coping with stress and solving problems. Individual Counseling - Counselors work with individual students in a confidential setting in order to help them better understand their feelings, attitudes, concerns and behavior. A unique relationship is established between the counselor and the student, built on respect and trust. Group Counseling - Counselors work with small groups of students who are experiencing shared concerns or developmental difficulties in areas such as interpersonal relationships with peers or adults, school attendance, academic achievement, or coping with life changes such as grief and loss. Need a referral to Mental Health and Wellness Services in our community? MindUp is a comprehensive, classroom-tested, evidence-based curriculum that fosters social and emotional awareness, enhances psychological well-being and promotes academic success. MindUp helps to create an optimistic classroom that promotes and develops mindful attention to oneself and others, tolerance of differences and the capacity of each member of the community to grow as a human being and learner. The essential work of MindUp is accomplished through classroom guidance lessons; which include the repetition of the Core Practice-focused deep belly breathing and mindful listening. The lessons provide students with effective skills to become resilient, focused and mindful learners. Students learn about the brain and how it functions, gaining insight into their own minds and behaviors, as well as those around them.